I start in race five with MINIVER for John O’Shea and Godolphin. She is resuming this preparation and has very good first up statistics. I have trialled her on two occasion leading into this and she gives me a really nice feel and am looking forward to her getting back to the races. My other ride, in race six, is STREET SHARP for Mark Kavanagh. He has won his last two starts and is full of confidence. He steps up in grade which gives him a really good weight relief getting in on the minimum of 54kgs. There is a lot pressure in this race and he has come up with a nice inside barrier draw to get an economical run. It looks like he is going well enough to make this next step. I start in race two with PURITAN for Jason Warren. He had his first run going right handed last time. He has the blinkers off today as he was very aggressive last start and he steps out in trip. He has come up with the extreme outside draw but if he has any luck in running and relaxes he will be finishing the race off very strongly. GRETNA is my ride in race four, for Chris Waller. She has a great chance from the draw. She has never raced in Sydney but did trial twice in Sydney before coming down and debuting in Melbourne. She has excellent form, comes in with the minimum weight and I give her a great chance. In race five, I ride COUNTERATTACK for Chris Waller in the Arrowfield Sprint. He has the blinkers back on and the last time he had them on at the course and distance he was victorious. It is a very strong race and it looks like it will be run at a high tempo which should suit him and I expect him to be running on well. 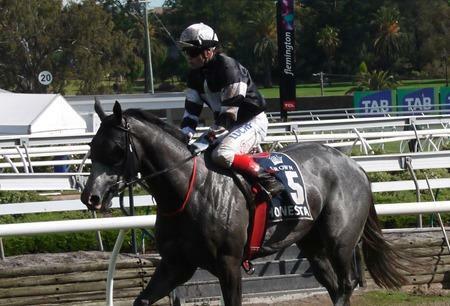 HONESTA for John Thompson is my ride in race six, the Group 1 Australian Oaks. She will really appreciate the soft track and the step up in trip. Last time we saw her at this distance she ran second in the VRC Oaks. She feels like she isn’t as sharp throughout her races and gets outsprinted but she is still closing off really well and is a main chance in this. 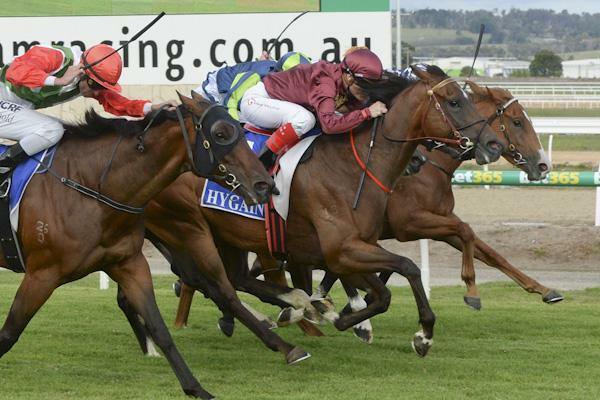 Race eight I ride NOBLE PROTECTOR for Robert Smerdon and Qatar Bloodstock in the Group 1 Coolmore Legacy Stakes. She has drawn a really favourable barrier if we can use it. She has been very fractious in the gates this preparation so if she can stay calm and utilise the draw and find a spot in the first four she will take some running down. 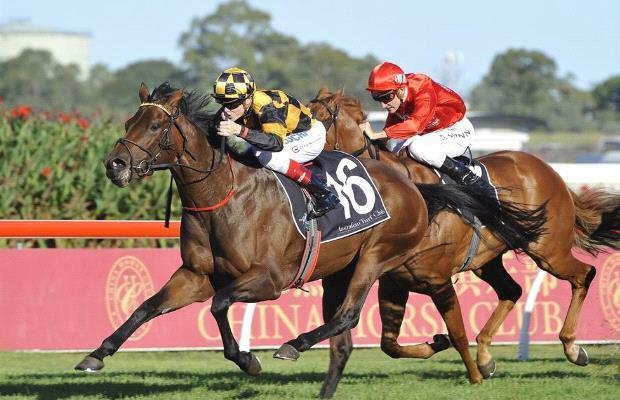 Race nine I ride WEARY for Chris Waller in the Group 1 Queen Elizabeth Stakes. He has drawn well and really likes soft ground and if he gains a start he should be very competitive in this. 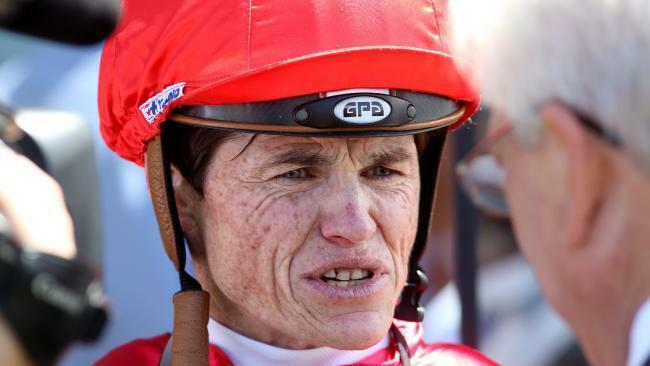 In the last, race ten, I ride GRIANTE for David Brideoake. I was successful last start on her in the Galaxy. She did run second in this race last year and I feel she is going much better this year. She has come up with a favourable barrier draw, the soft conditions will suit her and she is flying. I start in race two with UNREALISTIC for John O’Shea and Godolphin. He has come up with an outside barrier draw so he will need some luck as his dangers are drawn close to the rail but this definitely looks like a winnable race to start him on his way. Race three I ride THE WEALD also for John O’Shea and Godolphin. He has been placed twice from his eight starts. He is a get back horse but after scratchings this race has been depleted and this looks a perfect race for him. SHAMPION is my last ride in race four, for Danny O’Brien. He is lightly raced, coming off a slight let up and has blinkers on for the first time. His first up run he wasn’t beaten far and if can emulate that he is going to be competitive in this. From seven rides I’m down to three after scratchings. I start in race five with LUCHADOR for Bev Lechmere & Alisa Vermay. His first up run was good and the form has been franked as it has been proven to be a very solid form race. He has come up with a nice barrier, makes his own luck and I expect him to be very competitive in this race. Race six I ride TESSABELLE for Mark Kavanagh. 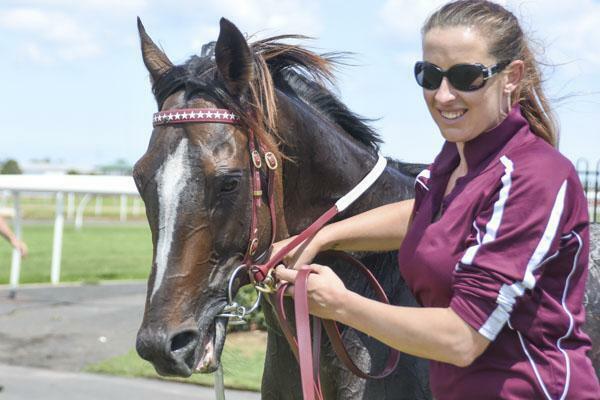 She will get a long deserved confidence boost after winning her maiden last start. This is a nice one step up in class to a 64 rating race. She still carries a low weight, is drawn favourably and I expect her to take the next step. SPUR ON GOLD is my ride in race eight, for Pat Carey. He is dropping 3kgs in weight. He is a get back horse who runs on. It is a step up in trip so would need a solid pace and will need a lot of luck from the extreme outside draw. I start in race one with SABKHAT for John O’Shea and Godolphin. He is resuming and has a good first up record. He goes well at the distance and has had a couple of trials coming into this and expect him to be competitive in this as he has good fresh form. Race two I ride WINE also for John O’Shea and Godolphin. He comes up with a nice barrier draw and also has blinkers on first time. He looks like a very nice strong Street Cry colt who should get plenty of favours from the draw and be competitive in this even race. ZARZALI is my ride in race three, the Neville Selwood Stakes for James Cummings. Her chances would be enhanced if it is a rain affected track. She has the blinkers on for the first time. She did trial extremely possessing good acceleration in the trial leading up to this race. She is a get back type and if the blinkers work hopefully this will help her finishing burst. In race four, I ride UNEQUIVOCAL for Noel Mayfield-Smith in the Star Kingdom Stakes. I partnered her in Qld at the end of last year. 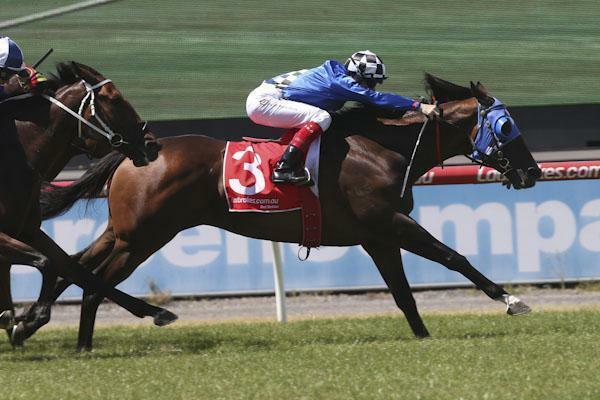 She is coming into this race after a last start win which will have boosted her confidence. She is also back in trip and is a get back horse so the faster they go the better for her. She is very consistent but does need a lot of luck due to her racing pattern. TORGERSEN for Chris Waller is my ride in race five, the Tulloch Stakes. He is building up to his right trip now. At the end of his last preparation he put two strong wins together. 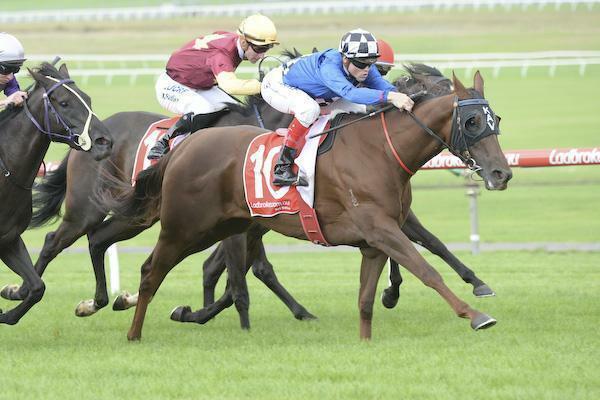 Has drawn wide and looks like he will settle back but the 2000m is right up his alley. Race six I ride HONESTA for John Thompson in the Group 1 Vinery Stakes. I finished second on her in the VRC Oaks. She is stepping up to her right trip and if the track is rain affected it would enhance her chances. She has come up with a wide draw and will probably get back and need luck but I expect her to be one of the main chances in the race and she will be finishing hard. Race seven I ride RISING ROMANCE for David Hayes & Tom Dabernig in the Group 1 BMW. Her runs have been excellent this preparation. Now moving up to Sydney for the first time this preparation she has drawn perfectly and should be able to ridden quiet for the first ¾ of the race. She has excellent stats at the distance and if there is any horse that could knock off Preferment I hope it’s her. LADY LE FEY is my ride in race eight, the Emancipation Stakes for Chris Waller. She started her career off in NZ. She came to Australia late last year and was very competitive without winning. She has strong NZ form and comes in with a minimum weight and I expect her to be very competitive. I start in race one with CLEMENCY for Robert Smerdon and Qatar Bloodstock. She has been nothing short of impressive in her two runs this preparation. She has come up with a nice barrier draw and this race looks like it will be run at high speed. She drops nicely in weight and hopefully she can make it three from three this preparation. Race two I ride TOSS AND TELL for Chris Waller. He has been building up to a win since arriving in Melbourne. He has been a bit slow out of the gates at his last two starts so I will need to work on this to get him into a nice position. He handles all conditions and drops 5kgs in weight. It will be run at a good gallop and that should suit his style. JACQUI’S JOY is my ride in race four, the Alexandra Stakes for Mitchell Beer & Max Hinton. She has really been an ultra-consistent horse since arriving from NZ, only being defeated once. She was a nice closing run last start in the Kewney Stakes and she meets a few of the same horses from that race here and she has come up with a more favourable barrier. She never runs a bad race and is going to be one of the main players. In race five, I ride BULLPIT for Danny O’Brien in the 55 seconds challenge. This is the last chance to win the car and on paper they will give it a good shake as it will be a furious tempo. This is the first time we see Bullpit back around the bend after three straight runs. He has come up with a nice barrier draw but there is going to be a lot of pressure in this race. GREGERS for David Hayes & Tom Dabernig is my ride in race six, the Group 1 William Reid Stakes. She has come up with the outside barrier but that doesn’t look too much of a worry as she and Holler should control the race up front. Her best stats are at this track and she likes room in her races which she will get that from her draw. This s is a very competitive race but she is always honest. Race seven I ride NOBLE PROTECTOR for Robert Smerdon in the Sunline Stakes. I plan to stay on her back this time after she dislodged me out of the gates last run. She is having a stallion chain applied to get her manners in control prior to the race. This is a very strong addition of the race but if she finds her form from this time last year she will take some running down. In the last, race eight, I ride NULLEI for Mark Kavanagh. I finished second on him last time, in what was a big form turnaround. The trainer is very confident he has him back in great order and if he holds that form he is going to be very competitive. I start in race two with SPIRAL for John O’Shea and Godolphin. He made his debut run in the middle of last year in Melbourne. Since then his preparation has been in Sydney. He has been gelded and has been trialling well. This looks like a winnable race if he gets luck from a wide draw. Race three I ride ABBEY MARIE for Mick Kent. She is having her first race start and hasn’t trialled officially. She is well bred, drawn well and from in an in form stable. For the trainer to target a city race on debut gives me the feeling she has ability. HIPSTER GIRL is my ride in race four, for Jason Warren. I have partnered her at her last two starts. This is a perfect race for her. She drops marginally in weight and this is a weak race. If she brings her best form she will be winning this staying event. In race five, I ride MACARUTHUR for John O’Shea and Godolphin. He ran a very solid second last start. He stays at the same trip and if he gets a nice run from the outside draw he will be very competitive again. ZAPURBLY for Lee & Anthony Freedman is my ride in race six. She has got very solid form. She drops marginally in weight and comes up with a nice middle barrier draw. Interesting to see, they’ve dropped her back in trip to a distance she has won at previously. On her best form she will be winning this. My final ride is in race seven, where I ride SCOONER for Chris Waller. He is an English import having his first run in Australia. In the UK, he won his race at Wolverhampton which is an all- weather track and has been competitive at Salisbury and solid meetings at Goodwood. He has always been ridden by leading riders in England so it gives you a feel he has very good ability. The trainer has been very successfully with imported horses. I’m looking forward to seeing him when he walks into the mounting yard. I start in race two with SEE WHAT I BRING for Symon Wilde. he has been ultra-consistent this preparation. The 1600m looks an ideal trip as he can get keen in his races. He has raced on tight tracks like Moonee Valley so hopefully that puts him in good stead as it is his first time at the track. There is one runaway horse in this race so there should be a good solid tempo and he should be one of the main chances as he is so consistent. Race three I ride GLORIETTE for John O’Shea and Godolphin. She has had a couple run back in Melbourne and she has a favourable and should get every chance from there. LOVING HOME is my ride in race four for Chris Waller. He is an imported horse really finding his form. He won two starts ago and comes back in trip from his last outing, so he is fit. He should get a lovely run from a good draw and be very competitive in this race. 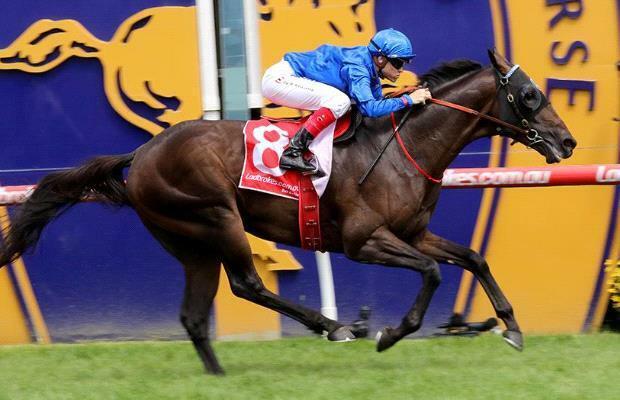 My final ride is in race six, the Alister Clark Stakes where I ride TALLY for John O’Shea and Godolphin. He has done everything right for three wins from three runs this preparation. 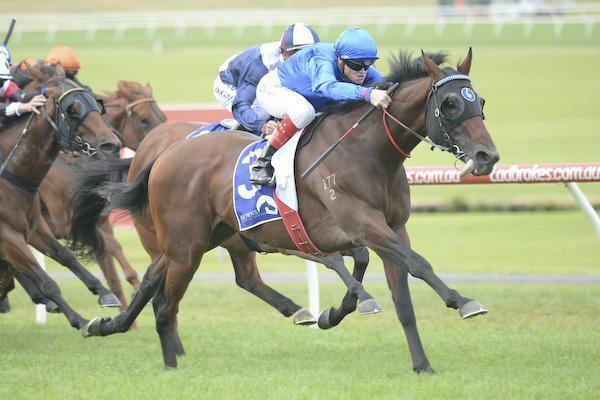 He has won at the track and the 2040m is an ideal step up for him. He will need a bit of luck from a tricky outside barrier draw but I am confident he can put another picket in the fence. I start in race one with TESSABELLEfor Mark Kavanagh. I partnered her mother Varevees in a Melbourne Cup. She is a very consistent girl having been placed on four of her seven starts. It would be nice to give her a well deserved maiden victory and this looks a nice race to do it. Race three I ride SPUR ON GOLD for Pat Carey. He has very good first up form, has a big weight but is a very strong horse and I expect him to be finishing off hard in this race. HONOURABLE TYCOON is my ride in race four for Mark Kavanagh. He got a well deserved confidence boost when he won at the track last start. He is stepping up to the 1600m for the first time, has a very favourable draw and this looks like another winnable race. In race six, I ride VORSPIEL for Mick Kent. He is a consistent horse who has drawn a middle gate. He is coming back from Adelaide where he wasn’t beaten far. He will make his own luck and be competitive in this even contest. ROSE DANCER for Luke Oliver in the famous Kingston Park colours is my ride in race seven. I’ve partnered her the last two starts and have been happy with her closing runs. She can be a bit temperamental in the gates and do a few things wrong in the run. If she gets a smooth transition and nice run, this looks like a very winnable race for her. My final ride is in race eight where I ride RAGGLE VARR for Stephen Brown. She is back in grade, has come up with a very nice barrier and in this very competitive race she is going to be hard to hold out. I start in race one with TIME COMMANDS for David Hayes & Tom Dabernig. She is an ultra-consistent mare running second at her last four starts. She has come up with a wide barrier so she will need some luck. It would be nice to get that luck and put a one beside her name and give her an overdue win that will be well deserved. Race two I ride WAZAMBA for John O’Shea and Godolphin. I was impressed with her barrier trial a few weeks ago. She has a great attitude and nice ability. If she brings that to the race day they won’t beat here. ROYAL APPLAUSE is my ride in race three for Symon Wilde. I was really impressed with her race two starts ago finishing second at the course and distance. Last start she wasn’t beaten far but mentally she wasn’t there and was very upset and very difficult to ride out. Again she has come up with a wide draw and the rail is out 6m so hopefully she can finish off. If she finds her right form she will be one of the main chances. In race six, I ride FARAJA for Luke Oliver. His confidence is up after a demolition win last start. He gets back and was very solid last start. With luck in running from the outside barrier he will be competitive in this even race. DUBROVNIK for David Hayes & Tom Dabernig is my ride in race seven. She was very upset under lights two starts ago at this course and distance. She then went to Sale for a confidence boosting win. She has come up with another outside barrier draw but if the race is run solidly and she can have luck, she will be closing off late. My final ride is in race eight where I ride FOUND MY WAY for Shaun Dwyer. He is very consistent and has never finished further back than fifth and only finished out of the top two twice. He comes up with a favourable barrier and should have a lovely run. I expect him to be there at the finish. I start in race three with CERTAIN ELLIE trained by Paul Rocke. She has been very competitive and consistent this preparation.She drops a lot in weight and carries the minimum. Sure she is stepping up in grade but will make her presence felt for a girl in really good form. Race four I ride HE OR SHE for David Hayes & Tom Dabernig. He comes back from WFA to a Set Weights & Penalties race where he is well treated on the minimum. Last time he ran here over the course and distance he was a really good close finishing 5th in the Emirates Group 1 mile race in the Spring. He is third up this preparation and I expect him to be one of the main chances. EGYPT is my ride in race five for Mark Kavanagh in the Kewney Stakes. She has been very competitive this preparation. I had plenty of horse to offer last start but nowhere to go and felt she would have tested the eventual winner. She has come up with a middle barrier in a very competitive race but the way she is going she will be there at the finish. In race six, the Group 1 Newmarket Handicap I ride JAPONISME for Chris Waller. His two runs at the track have been excellent, winning the Coolmore in the Spring and his narrow defeat in the Lightning at WFA which puts him in good stead carrying a light weight in this race against the same horses. He gives me a feel of the same preparation Chris Waller gave Brazen Beau who won this race last year and even though he has to take on Group 1 winners Chautauqua and Delectation I expect him to be the one they have to run down. RISING ROMANCE for David Hayes & Tom Dabernig is my ride in race seven, the Group 1 Australian Cup. She has been plagued by wide barrier draws this campaign and both her runs have been excellent. She has come up with a more favourable draw but it’s still a bit sticky and with the late scratching of Mourinho there doesn’t look to be a natural leader. 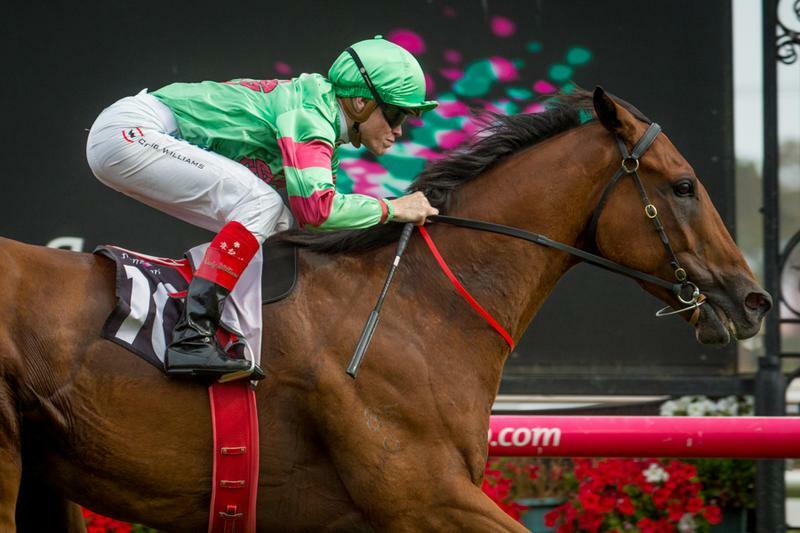 She has great statistics at this course and distance and I think she is one of the main chances in a competitive addition of the Australian Cup. My final ride is in race eight where I ride NOBLE PROTECTOR for Robert Smerdon. She won this race last year but she did have the minimum weight and was flying. She did not come up in the Spring. She has trialled well coming into this andif she can recapture her form from last year she will be winning this race again. Today I head to Sydney for Randwick Guineas day. I start in race two, the Todman Stakes with WEATHERLY trained by Paul Messara. I have been impressed with him ever since I sat on him at Balnarring trials. I couldn’t have been happier with his dominant performance in the Talindert Stakes last start. He is having his first time going right handed and has met a small but an extremely high quality field. It feels like the Golden Slipper without the first two home from the Blue Diamond. I expect Weatherly to make his presence felt. Race three I ride RIO PERDIDO for Kris Lees. He is an imported gelding and when he finds his right form he is very competitive at this level. He is now getting to his right distance range. If he runs well in this, expect him to be competing in better races over the Autumn at extended trips. MONOGRAM is my ride in race four for John O’Shea and Godolphin. 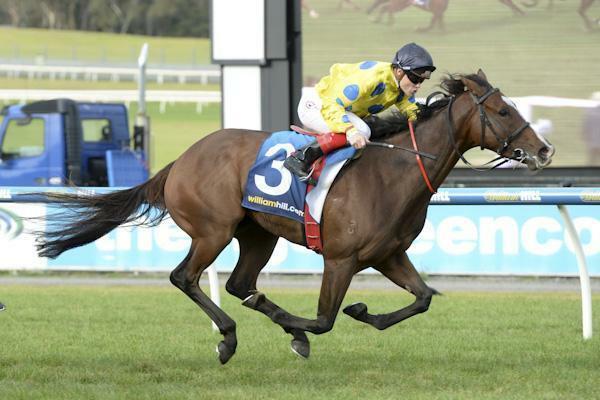 She is an in form mare winning her last two starts in Melbourne. She has had a freshen up and back in trip. I love mares in form and expect her to be competitive in this race. In race six, the Fireball Stakes I ride KING’S TROOP for Gerald Ryan and Arrowfield. He is a very competitive horse and has great form around him. He has come up with an awkward barrier draw and in this tough race he will be there for a long time. DATA POINT for Mick Kent is my ride in race seven, the Randwick Guineas and we have received the visitors draw. He is a very nice progressive horse and if we can have some luck from the gate we will find out where he fits into mix with top 3yos in the Sydney Autumn. Race eight I ride KINGLIKE for Peter Moody. He is an exciting horse who is a lightly raced 3yo. He has trialled extremely well coming into this race. He likes to get back and finish strongly and this should be a truly run race that eill suit his style. In the last race my ride is LUCKY CAN BE for Ron Quinton. She is a very lightly raced and progressive mare. She comes in on the minimum weight and has a very good barrier draw and I expect to her to be one of the main closers in this very competitive mares race. 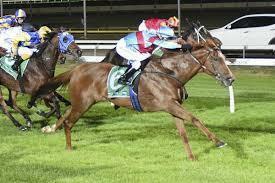 I’m looking forward to riding at Cranbourne for the first time under lights this year. I start in race four with SILENT SEDITION trained by Andrew Noblet. I’ve trialled her on two occasions coming into this race and have a lot of time for her. I think she can graduate to a black type filly and hopefully this is a nice way to start off her Autumn preparation. She has drawn the outside and this is a very competitive maiden but I’m expecting her to be closing off really hard the way she has been trialling. Race seven I ride LEODORO for Mick Kent. He has come up with a favourable barrier draw and has never been out of the top three in his four starts. I expect him to be very competitive in this small field. In the last race my ride is AMADEUS also for Mick Kent. I was very taken by his debut win. I’ve got a lot of time for him and expect him to figure in better races in time and this is a nice progressional race for him. He has come up with an awkward barrier and carries topweight but I would be disappointed if they were two factors that got him beaten on the night. I start in race one with NULLEItrained by Mark Kavanagh. If you forgive his last run, you’ll see he is always competitive and never gets beaten far. He comes into this race on the minimum in a small field and has drawn a reasonable barrier. Race two I ride STREET SHARP for Mark Kavanagh in a 1600m maiden. He has had nine starts and nearly placed in half of them. He has drawn wide but if he has luck from the barrier hopefully he can put a one beside his name. APOCALYPTIC FUN also for Mark Kavanagh is my ride in race three. He has come up with a nice draw in three and hopefully gets some favours from that gate. In race five I ride CLEMENCY for Robert Smerdon and Qatar Bloodstock. I was very impressed with her first up run this preparation showing great acceleration late. She has drawn a favourable barrier, steps up in trip and slightly down in weight and I expect her to be the one to beat. BASCULE for Chris Waller is my ride in race six. He has won his last two starts at this course and distance and steps up in grade again. He is only 2kgs off the minimum which I think is an advantage for him. If he gets a smooth transition throughout the race he can make it three on end. In the last race my ride is ROSE DANCER for Luke Oliver and David Hains. I partnered her last start and was happy how she closed the race off in a small field that was run at a slow tempo. She is now taking on open class horses and if they go fast she will be hitting the line strongly. I start in race two where I rideDUHALLOW for Robert Smerdon and Qatar Bloodstock. This filly is meeting a few of these runners much better on weights than on previous occasions. She does have the visor off for the first time. She has performed well at the track which is an advantage but does have a wide barrier so will need luck. This a very competitive race and if we get luck, she will have her chance. In race six I ride RAGGLE VARR for Stephen Brown in the Typhoon Tracy Stakes. This is a very high quality 3yo fillies race and I am sure whatever wins will be able to emulate somewhat of Typhoon Tracy’s success. This filly has only had 2 starts and resumes here. She does have a wide draw to overcome but she has nice gate speed and has trialled well leading into this. This will tell us where she fits in with the 3yo fillies this Autumn carnival. In the last, my mount is MICK’S HUSTLER for the Ellerton & Zahra stable. He has come up with the outside barrier draw and will need some luck. I will have to work hard to get him out of the gates as he usually steps slow but always catches the eye, finishing hard in his races. If the race is run to suit and horses can run on he will be the one making ground late. I start in race one with QUILATEtrained by Mick Kent. She is a nice filly that always finishes her races off well. She is second up and the step up in trip is going to be in her favour. If the race is run at an even tempo she will be hitting the line hard. Race two I ride ACHI BABA for John O’Shea and the Godolphin camp. This 2yo colt is having his first start after trialling twice in Sydney where he looked to have nice ability. He has drawn wide and will need a bit of luck on debut. ROYAL APPLAUSE for Symon Wilde is my ride in race three. I was impressed by her last start performance at Moonee Valley and feel she is still learning and will have derived a lot of benefit from that experience under lights. She has drawn a wide barrier in a race where there doesn’t look to be a lot of pressure. She has really nice ability and expect her to be staying on well in this competitive race. In race four I ride SMOKIN’ BELLA for Wez Hunter. 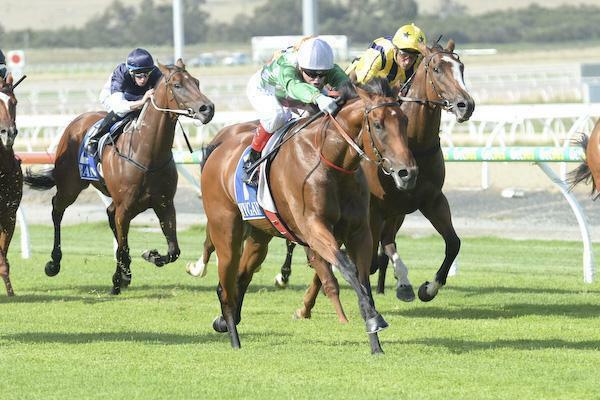 She is a very consistent filly who was narrowly defeated at Sandown last start. She should get every favour from a nice barrier and is going to make her presence felt in this competitive Fillies & Mares race. HONOURABLE TYCOON for Mark Kavanagh is my ride in race five. 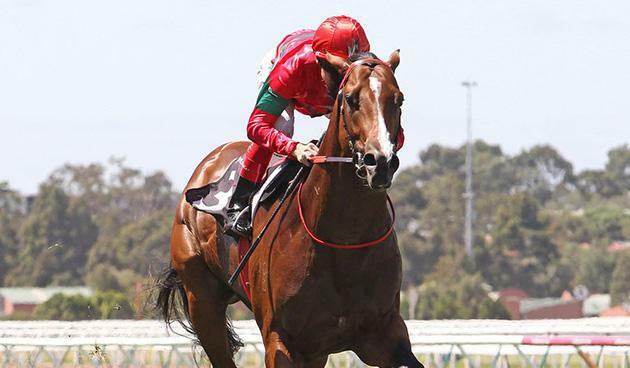 This gelding is ever consistent and has put together a string of thirds. He comes up with a wide barrier draw and hopefully things can go his way and we can put a first beside his name. In race seven my ride is TOSS AND TELL for Chris Waller. He is having his second run in Melbourne and has come up with a nice barrier. He would be one of the main chances in this competitive race. Looking forward to Black Caviar Lightning Stakes Day at Flemington today. I begin my day in race two riding WEATHERLY who is trained by Paul Messara and is a very exciting two-year-old. 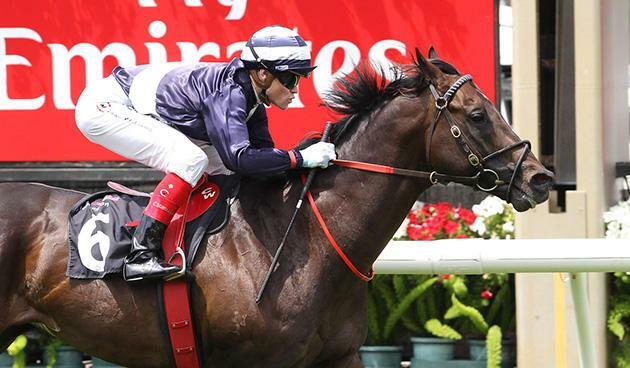 He was scratched from the Blue Diamond Preview due to mucus and now he ventures to the Flemington straight for the first time. I've trialled and also partnered him on debut and I feel he is going to make the top grade. Hopefully he will show everyone his quality. Race three I ride SWEET EMILY who is trained by Phil Sweeney. I rode her in this race last year and she finished third and it was the only time she had been down the straight. She'll be better from that experience, she's very a pretty consistent mare and if you take out Estaminet it's very even. In race four I'm aboard PIN YOUR HOPES who is trained by Matthew Ellerton and Simon Zahra. He has come up with a favourable barrier draw and we should be able to utilise this to give him every possible chance. He is racing really well and he's going to make his presence felt. Race five I ride last start winner EGYPT for trainer Mark Kavanagh and now has confidence from her last start win. In this preparation she has been ultra consistent. She has come up with a nice barrier and she should get a lovely run. This race will tell us where she is destined to go to throughout the Autumn Carnival as the race is full of quality fillies. In race six I ride the Michael Moroney trained TIVACI and he is a very nice progressive type. 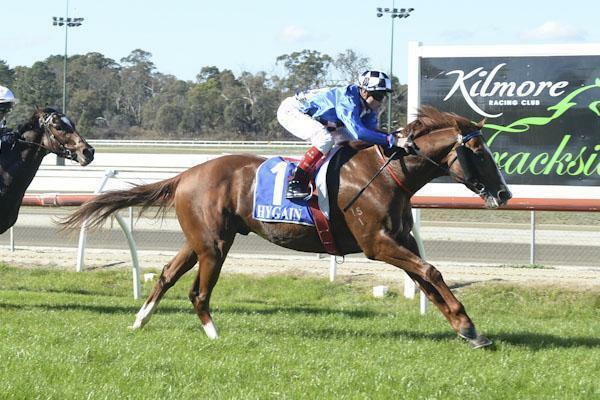 He has started this preparation off with a dominant win at Pakenham. He steps up against the top three-year-old colts and I had a sit on him earlier this week and I couldn't be happier with how he felt. In race seven, the Group One Black Caviar Lightning Stakes I ride the Chris Waller trained DELECTATION. It's a small but high quality field and it looks like it's going to be very tactical as there is only one lead horse. I'm very happy with Delectation, I trialled him down the straight recently which gave me a good feel for him. He responded well to my riding and I'm going into this feature very confident. We do need a little bit of luck from the wide barrier but if we can offset that in running he will be finishing hard. Race eight I ride UNDERESTIMATION (pictured) who is trained by Tony McEvoy who won at the course and distance this preparation with his best form being at Flemington. If we can find an excuse for his last start finishing fourth it could have been he doesn't run his best races at Caulfield. He stays on a minimum weight but we just need to offset a tricky draw. If we can do that he'll be competitive. In the final race, race nine I ride TANSY who is trained by Byron Cozamanis who has been very competitive this preparation. I rode him last year and when he performed well down the straight. His closing sectionals last start were very good so if he holds that form I expect him to run well. Tonight under lights we race at Moonee Valley and I begin the night in race one riding DUBROVNIK who is trained by John O'Shea. I was pleased with her last performance, the step up in trip will be an advantage and she meets Tears Of Joy 3kgs better on weight. She has come up with a wide draw in a small field however there does not look to be much pressure on paper so it looks like it might be a tactical affair. Race two I'm aboard DODGING BULLETS who is trained by Symon Wilde. He is lightly raced and been ultra competitive, only out of the top two once and that was last preparation. Tactically, barrier two would be an advantage for him and if he finds his usual form he's going to take some running down. 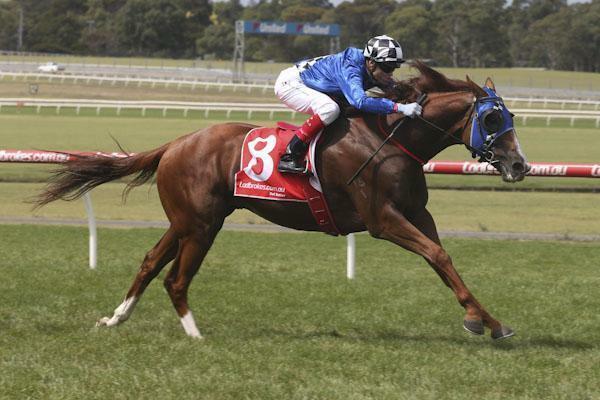 In race five I ride the Mick Kent trained SUPIDO (pictured) who I rode to his last start win. 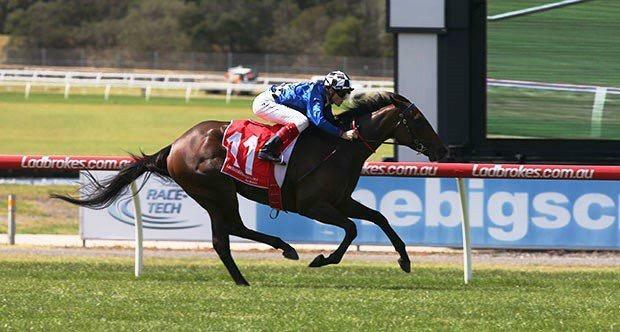 He is a very exciting horse and I'm looking forward to seeing how he performs at Moonee Valley. I think he has been well handled and placed by his trainer and I know eventually SUPIDO will definitely find himself in Black Type races. This will be another good stepping stone for him. In race six I ride the Chris Waller trained DANJEU who has been narrowly beaten in his last three starts. He again will tackle a similar competitive group. He stays down on the minimum and has come up with a good draw. He has also performed very well at the course which is a positive in an even contest. At Racing.com Park, a twilight meeting, I start off in race one aboard TYCOON BEAUTY trained by Amy Johnston. Her debut run was very good and closed off really well. That race has since stood up in form but she has had an operation since and has been away from the racetrack for sometime. She has trialled really nicely coming into this at Cranbourne and from the good barrier draw she should give herself every chance. In race three I ride MEADOW SPRITE for Matthew Ellerton and Simon Zahra, she is a three-year-old Artie Schiller filly having debut run. Her jump out down the straight looked ok so I am looking forward to seeing her walk in the yard and how she performs. 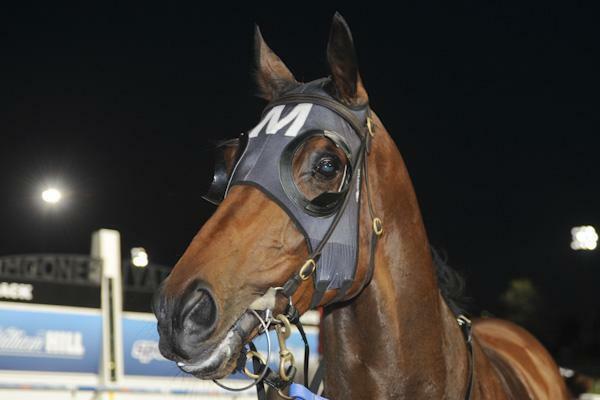 I ride CLEMENCY who is trained by Robert Smerdon and owned Qatar Bloodstock in race six. I have trialled this mare coming into this run and felt she has really matured and I expect her to be very hard to beat. In between races I will also be galloping SCISSOR KICK for Paul Messara as he is preparing to run in the Futurity Stakes the following Saturday. He is a Group One horse and has been off the racetrack for sometime. I am looking forward to putting him through a serious workout before he resumes in the Group One at Caulfield the following Saturday. I'm looking forward to returning at Sandown after my week out of the saddle. I start my day in race two riding RUSHMORE trained by Brain Gentle. He's very consistent and steps up in trip. He has to overcome a wide barrier but this looks like a suitable race for him to break his maiden status. In race three I ride the Luke Oliver trained ROSE DANCER. She hasn't been placed at her two outings at Sandown but she's handled the course and raced very well. She has come up with a wide barrier so we are going to need a little bit of luck but she looks like she is finding her form. In race five I'm riding INNER CIRCLE trained by John O'Shea. He now steps up to 1400m and has come up with a really good draw. I was happy with how he had come on from his first to his second up run. This is a very competitive three-year-old benchmark 64 race and whoever wins this will definitely be in for better things over the Autumn Carnival. Race six I'm aboard last start winner BASCULE trained by Chris Waller. Everything went to plan last start and he got his head out in front right on the line. He should derive a lot of confidence from his narrow victory. He has found himself again in another very competitive race but hopefully he'll be able to put two together like he did last year. In race eight I ride CORDOBA trained by my father Allan and brother Jason. He ran really well last start at Moonee Valley but unfortunately, once again, he has come up with the outside barrier. He will need some luck so I'm hoping he'll be able to close off. If that's the case he'll be very competitive in this grade. I start in race one COMMANDING TIME trained by Brendan McCarthy. I was very happy with his last start performance. He goes down in grade and up in distance and this looks really winnable. Race Two I ride DANJEU for Chris Waller. He has a gear change with blinkers off and the visor on and after partnering him for the second time, I feel that the experience I have had on him has helped me understand his character which will pay dividends in the race today. PURE KARMA for SAAB HASAN is my ride in race three and he was impressive in winning last start. He's really matured and racing very well. He steps up in trip and I expect him to be hard to beat again. He should make it two in a row with luck in running. In race five I ride LESSYD for Tony McEvoy. I thought he was solid in winning down the straight at Flemington last start. He'll have confidence from that win and I felt with that race and experience under his girth I am looking forward to seeing how he's progressed. Race six I ride UNDERESTIMATION again for Tony McEvo. He impressed with his first up win and Tony is given him plenty of time in between runs to have him fresh. It looks like a very competitive race however he has confidence and also a low weight. Race eight I ride the Peter Moody trained GOLD SYMPHONY and he looked a little bit disappointing on face value last start. Other than that he has been a very consistent performer. They have opted to put blinkers on him for the first time and we just need a little bit of luck from the outside barrier draw but on his best form its a winnable race. In race nine I'm partnering BOUNDARY who is trained by Heath Conners. She has raced well her last two starts with a narrow defeat last time at the course and distance. She has again drawn favourably and she meets the horse that just beat her home last start much better on weight. The way this race will be run (with more pressure) should be in her favour. Moonee Valley night meeting and the rail is out 7m which usually makes it favourable to horses on pace. In race one i'm riding HIPSTER GIRL for Jason Warren, she has blinkers back on and has been very consistent this preparation. It is a small field and there'll be no pressure up front so I'm looking forward to seeing how it unfolds and knowing that I have a solid girl with blinkers again. In race three I ride BRITTANY for John O'Shea, a two year old fillies race and there is only one horse in the field that has raced before. BRITTANY is a first starter and I saw her trial up in Sydney at the start of the year where she closed the race off nicely. She has drawn barrier one and hopefully I can use that to our advantage. Race four I ride WAXING for Darren Weir and he comes into this race with confidence and a significant weight drop and I expect him to be very competitive. In race five I'm aboard SNIP OF MAGIC for Kym Healy, he is a sprinter from Adelaide and is perfectly suited to the 955m as he looks like he has a lot of speed. I ride MAGICUS in race six for Chris Waller who was impressive on debt at Sale. He is having his second start and if I can utilise barrier one and get around Moonee Valley he is going to be a major player. In race one I'm riding the Mick Kent trained HATTORI HANZO. He's come up with a really good barrier draw and has trialled well coming into this. He has been gelded and I expect him to be one of the main chances. Race three I am riding AMADEUS also trained by Mick Kent. It would mean a lot for me to win this race for the Walker family as my father rode successfully in the same colours. I have seen Amadeus trial last year and I know he has ability. It is his first day at the races and if he handles the day he's going to be competitive. In race five I ride MYSTIC trained by John O'Shea. I feel that having the run at 1600m last time will strengthen her up. She has a favourable draw in three and it gives me many options. Her form makes her one of the main chances in this race. Race six I'm aboard REBEL RISING trained by Clinton McDonald. He has caught the eye in his past three starts by the way that he closes off. He is back in grade and it is definitely a race he can win and he will be suited by this spacious track. Race eight I'm riding INNER CIRCLE trained by John O'Shea and he ran well first time at Moonee Valley. He steps back into a rating race and has drawn nicely so this will be a telling race in regards to the direction in where he will be placed this summer/autumn period.